Top > Study > Private information > Be careful of information to open the public! ■ Be careful of information to open the public! 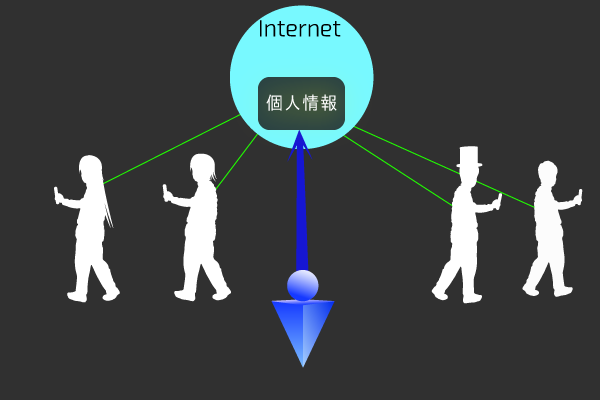 The Internet is used by many people all over the world. That is to say the information that was opened by oneself may be looked by people all over the world. If you put your name or address or telephone number in your homepage what will become of you? You will open your personal information to people all over the world. If it is looked by malicious people, it may be used for a crime. ▲The personal information that was put on the Internet isn't strange that is looked by in whom of all over the world. And nowadays SNS is very popular. You should be careful about opening information in SNS the same in case of a homepage. That's why it can use without constraint, it is liable to lenient knowledge about crisis for leaks of personal information, but you must not open your address and telephone number in it the same that either.